Some home decorations normally have simple or pop colors that can blend into the room style. You can apply wall decorations such as a painting, a frame, or a wallpaper. 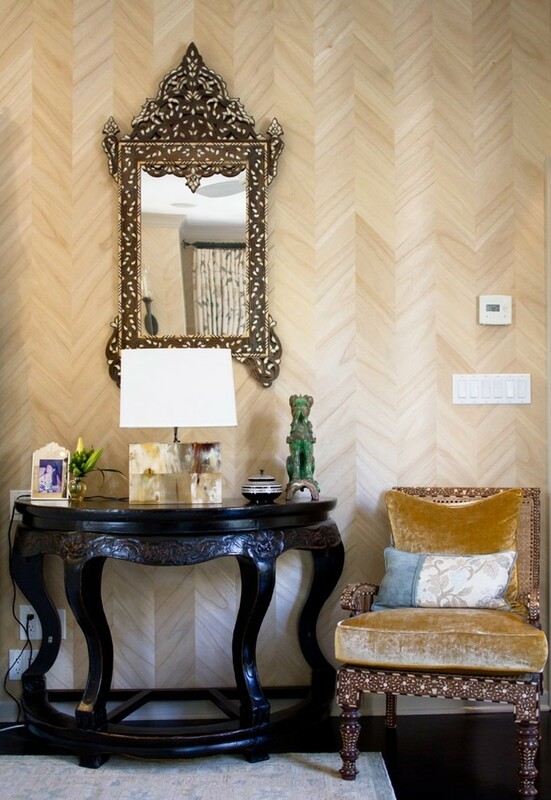 Wallpaper with some patterns will make your room stand out more. If you want to have an Asian feeling in your home, you can decorate your room with Chinese decoration. You can also get Chinese decoration when you have already had Asian themed room in your home. 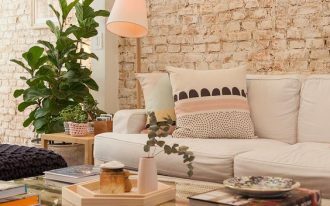 It will increase the feeling and make the room more fabulous with the combination of furniture pieces and room decorations. 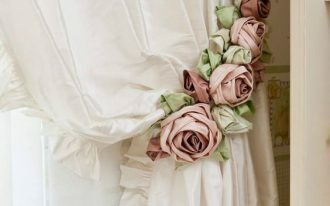 The following are some elegant Chinese home decorations that will inspire you. Chinese style is famous for red and other fun colors. 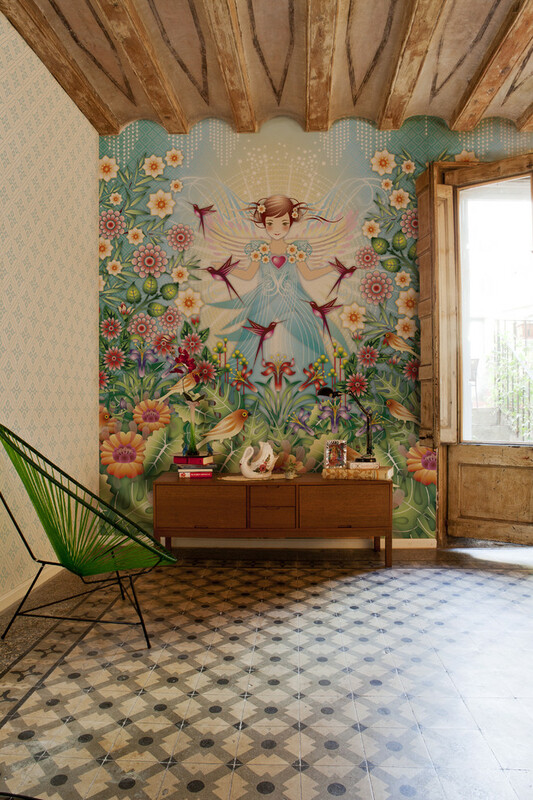 This wallpaper mural is so colorful and bright. 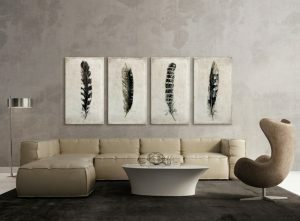 It is really suitable for a minimalist and neutral room. This wall decoration really supports in making the room looks beautiful. 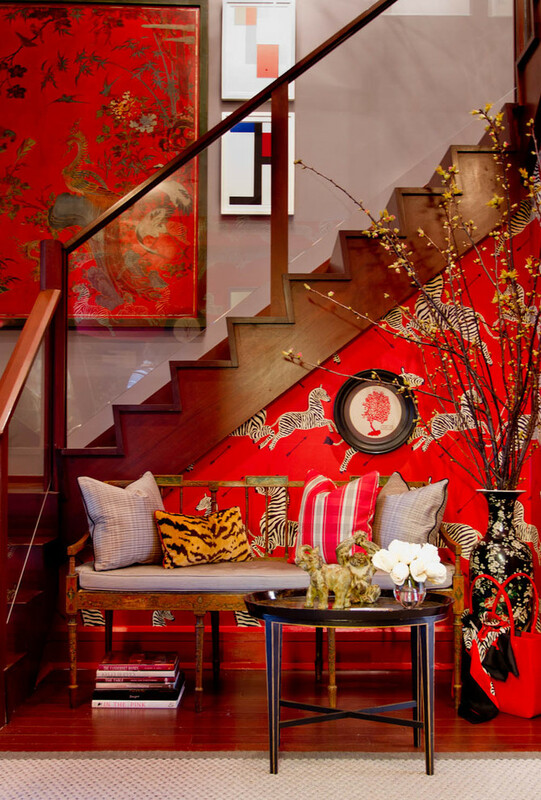 This Chinese patterned red wallpaper gives this space such an art and richness. The red color symbolizes good fortune and joy that will be perfect to decorate your home. 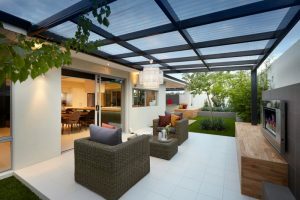 It can be used to create an Asian home aesthetic with the gold and black addition. 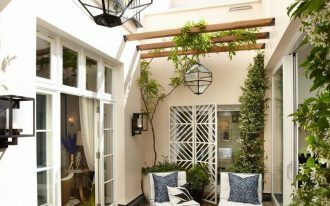 This elegant family room has bamboo blinds on the windows that soften the daylight and give an Asian feel along with the ceramic Chinese garden stools and the Far East Artwork. The blue color of the stools usually symbolizes renewal and immortality in China. 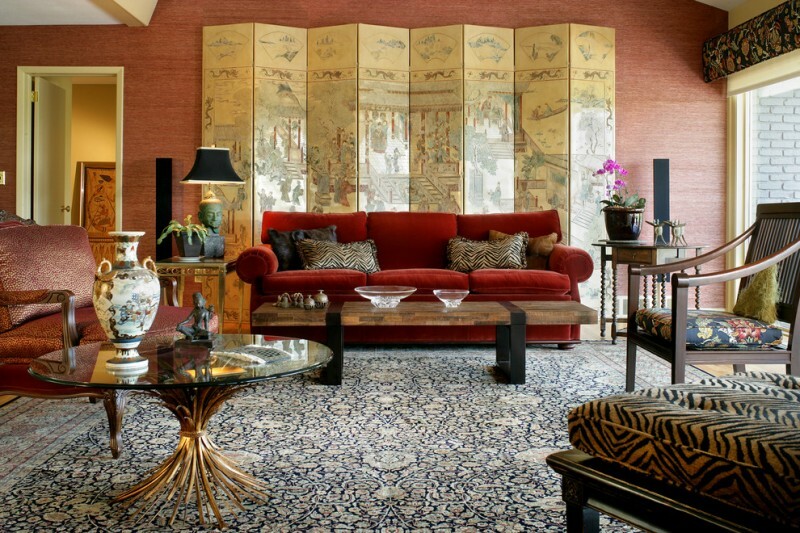 This Chinese living room is really beautiful with colorful features. 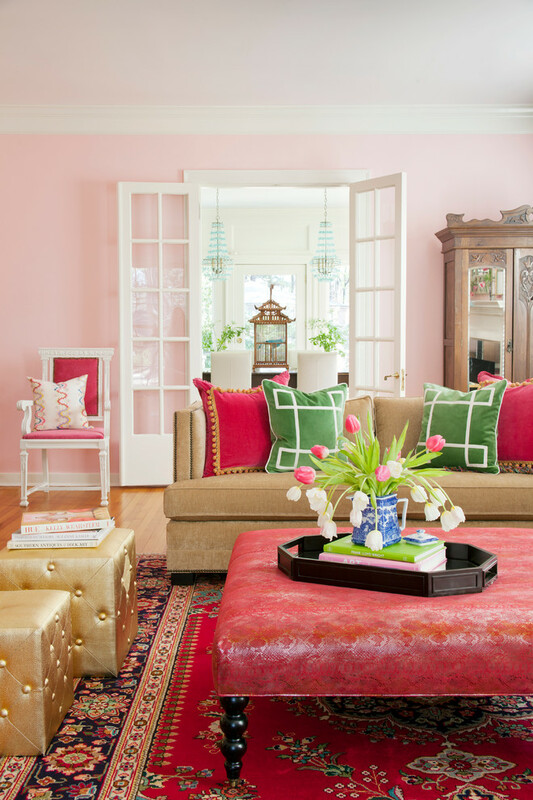 There are a brown sofa, gold stools, pink ottoman, pink wall, colorful throw pillows, and a red area rug. The flower arrangement completes the chic style in this room. 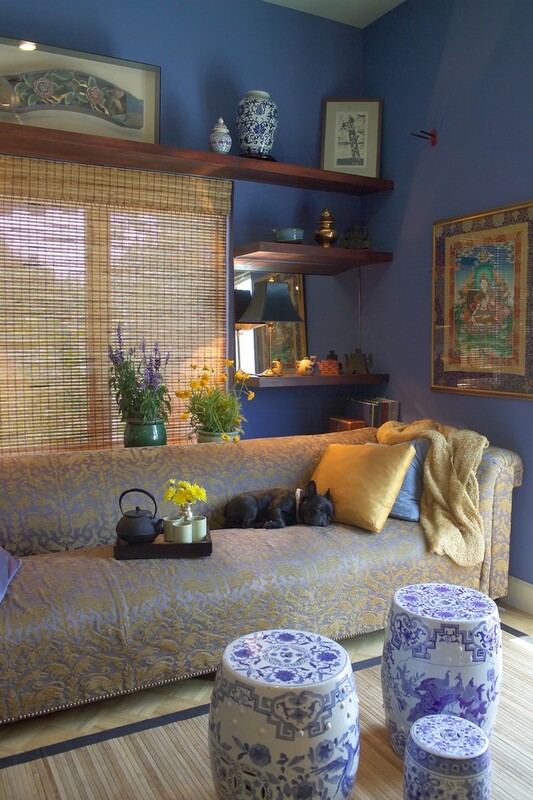 The black settee is a Chinese antique paired with white and blue custom cushion. 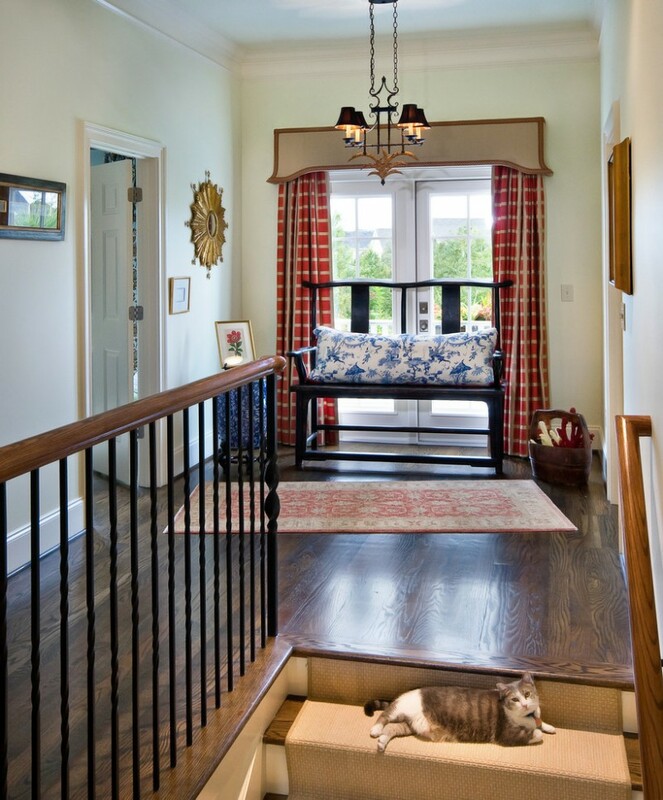 The black rustic chandelier and curtains give traditional vibe in this space. 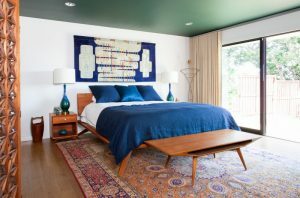 This bedroom seating space is filled with an Antique Chinese console table, Mediterranean chair, a wall mirror, and small area rug. 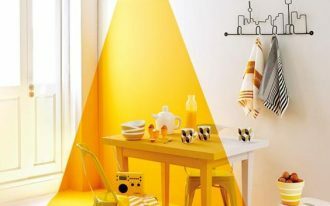 You can place some decorations and a table lamp on the table. Oriental Screen is one of the popular Chinese home decorations. It is absolutely beautiful and the painting somehow shows some stories. 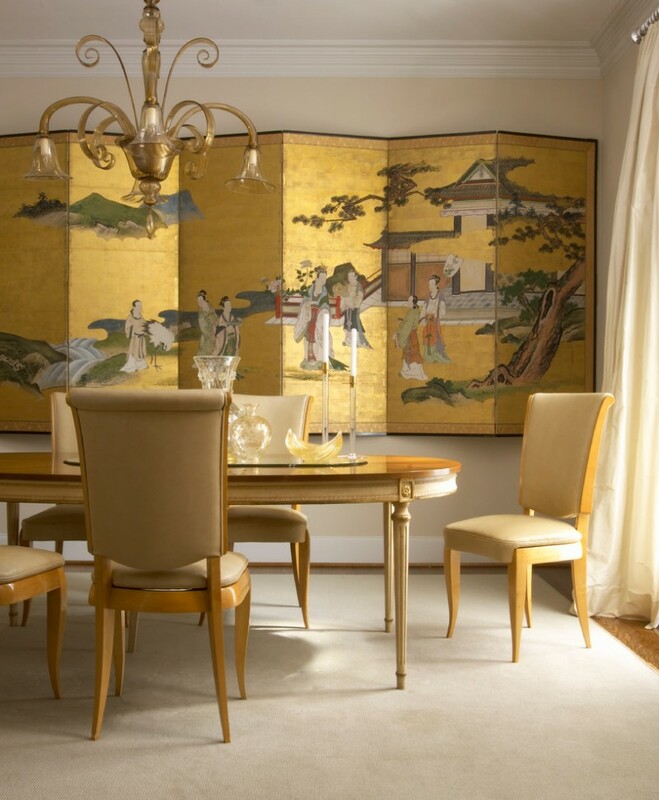 This formal dining room features a dining table, dining chairs, rustic gold chandelier, and a folding silk gold Chinese screen. When applying the screen with fresh color, you should make your wall neutral. Replacing the headboard with a beautiful hand-painted screen behind the bed is a good idea to decorate your bedroom. This theatrical headboard features birds, a tree, and traditional motifs in Chinese designs. It will be a stand out piece you can afford rather than accessories in every corner of the room. 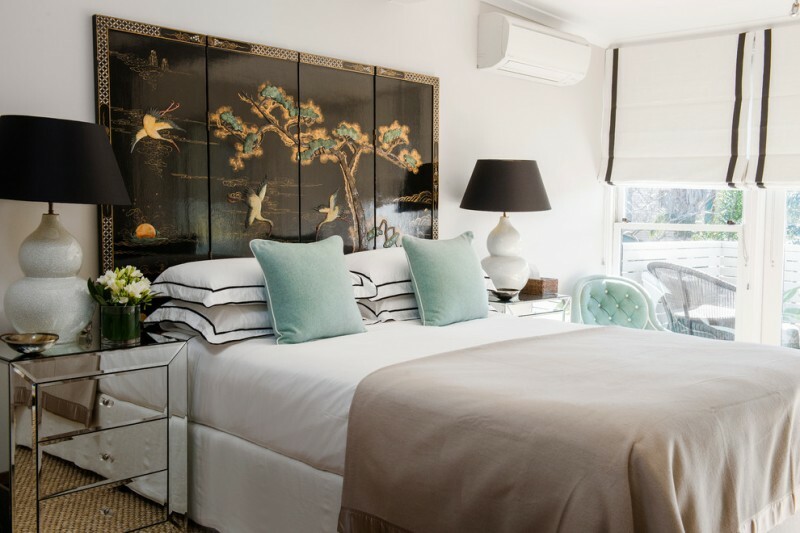 This is a Chinese panel headboard that will give your bedroom a calming and Asian fell. It is hung between the wooden built-in shelves.